While box office numbers may have been down compared to 2013, the truth is that 2014 was a pretty phenomenal year for film. We saw incredible new titles from amazing veteran and newcomer directors hitting just about every single month –regardless of season – and they introduced whole new worlds and kinds of creativity to the cinematic landscape. Needless to say, it made my work as a film critic a whole lot more fun… but it also made my Top 10 of the year incredibly challenging to put together. As a movie fan, I think it’s rather important to have an appreciation for the weird. Studios have proven themselves excellent at making the same movies over and over again, so it’s endlessly refreshing when a title comes along that not only breaks from conventions, but also starts pumping out ideas straight outta left field. It’s all the more impressive when the film can do this as well as maintain a smart narrative with something to say. 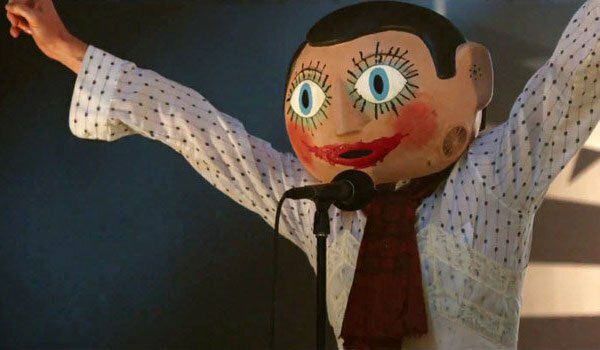 This is how why my Top 10 is kicking off with director Lenny Abrahamson’s Frank - a film that has Michael Fassbender wearing a giant paper mache head over his own for just about his entire performance. The story of a young man named Jon (Domhnall Gleeson) who falls in with a group of somewhat-psychotic, experimental musicians led by a sweet odd-ball named Frank (Fassbender), the movie has a beautiful tonal blend of comedy and drama that mixes together an eccentric group of characters with wonderful themes about creative energy and personal outlook on the world. Surely there will be some members of the audience who find themselves a bit thrown by the weirdness of it all, but it’s an experimental and musical adventure well worth taking. Martin Luther King Jr. is, without question, one of the most important Americans to ever live. Choosing means of peace over means of violence, he helped drive a nation towards a better future, and has enlightened generations about the utter importance of equality in freedom. 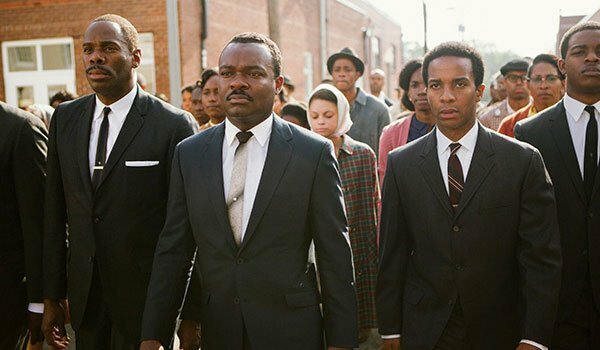 In Ava DuVernay’s Selma, we not only get a closer, more intimate look at this legendary figure, but also the real man at the heart of it – and it comes together as one of the most effecting dramas of the year. As you get to the end of watching Richard Linklater’s Boyhood, there is a special feeling that overcomes you. In the span of two-and-a-half hours, the movie chronicles 11 years in the life of a young boy, and while you only get to see bits and snippets of this long time period, there’s an overwhelming sensation as the story begins to wind down that you are about to say goodbye to characters you’ve known forever. This is a sensation typically relegated in fiction to the finales of long series or franchises, but Linklater’s movie gets it in one shot – and that’s only one aspect that makes it one of the best of the year. One can’t talk about Boyhood without mentioning the unique, extended, incredibly risky way that Linklater chose to shoot it – returning to the production year after year to film scenes with his naturally aging characters – and it not only creates a beautiful, special narrative flow, but becomes more impressive when you think of how well the story all comes together. The performances are incredible, music is perfectly utilized at every opportunity, and the story is wonderfully relatable. This is the best kind of risky filmmaking, and it’s amazing to watch it succeed. Writer/directors Phil Lord and Chris Miller seem to really enjoy challenging themselves as filmmakers. Why else keep taking on projects based on existing properties that have so much potential to fail? Of course, it doesn’t really seem to matter, as Lord and Miller have continued to knock it out of the park every time out, from Cloudy With A Chance of Meatballs to 21 Jump Street. This year they continued that streak with the stupendously awesome The LEGO Movie. While Lord and Miller also made the great meta sequel 22 Jump Street in 2014, it’s their animated film built with Danish building blocks that’s truly worthy of being called one of the 10 best movies of the year. The visual style is unlike anything we’ve ever seen in features before, blending the looks of LEGO stop-motion with CGI animation, and at the same time creates a world that is uncompromisingly weird and beautiful. The voice talent featured is an inspired collection of names, with Chris Pratt leading the team and really showing off his stunning charm and talent. 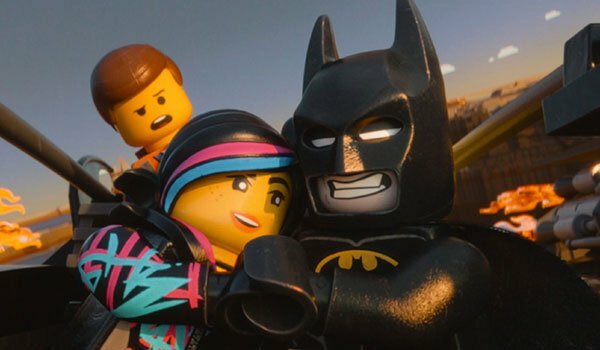 The LEGO Movie is such more than a kids movie based on a toy brand, and is in truth one of the funniest, thoughtful, and creative comedies of the year. It is hard to think of any actor who has advanced their professional performance abilities in the last five years more than Channing Tatum. He has moved far beyond his block of wood/eye candy days, and has proven that he can be a dynamic, ranged performer. Up until this year, however, all of his best turns have merely surprised me. As the lead in Bennett Miller’s powerful drama Foxcatcher, he has genuinely impressed me, and that turn – along with those from a transformed and terrifying Steve Carell, as well as the brilliant Mark Ruffalo – drive the movie to become one of the most transfixing and intense of the year. It’s not easy being a horror fan. There isn’t any other genre out there where the ratio of quality to crap is so skewed – and sadly it’s not in the more positive direction. As such, when a horror film comes along that is creative, thoughtful, and actually terrifying, it deserves to be celebrated. Jennifer Kent’s The Babadook is all of these things… with an extreme emphasis on the third. To put it bluntly, The Babadook is easily one of the scariest movies I have ever seen, and I actually watched most of it curled up in the fetal position. Much of this can be attributed to the tension-dripping, shadowy atmosphere that Kent maintains throughout, but really the terror comes out of the movie’s themes and relation of dark realities. At its heart, this is a movie both about coming to terms with loss as well as the most horrific thoughts a parent might have or feel towards an unruly child. As the suffering mother at the center of the story, Amelia, Essie Davis puts on what is easily one of the best performances of the year, and drives the film towards perfection. This is a must see, and is guaranteed to scare the hell out of you. Yes, I’m aware that I am cheating a bit here. 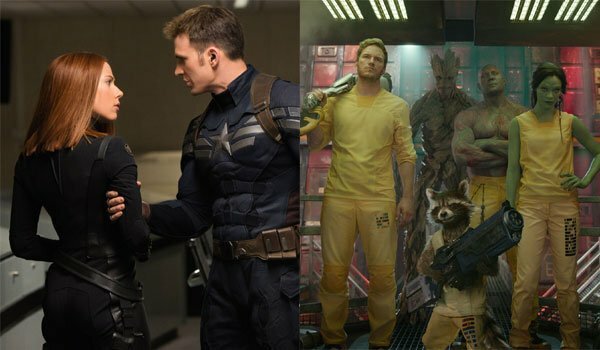 Admittedly, Joe and Anthony Russo’s Captain America: the Winter Soldier and James Gunn’s Guardians of the Galaxy are two very different films that succeed on their own merits and possess individual qualities that make them both unique and fantastic. Brilliant as they are separately, however, together they represent just how much the comic book world has changed over the last few years, and as a huge fan of the genre, I felt that both need to be celebrated equally. Passion is the most important thing in life. If you don’t care what you’re doing, or care who you are doing it with, there is no point in any of it. Of course, passion doesn’t come easy. Passion requires work. Passion requires focus. Passion requires sacrifice. But what are we willing to lose in the name of what we truly love, and how far can we be pushed in trying to find it? These are the questions at the heart of Damien Chazelle’s truly brilliant, music-driven Whiplash. In the movie, it’s drumming that is the true passion for the protagonist Andrew, played by the fantastic Miles Teller, but while the musical sequences and performances are both stunning and beautifully shot, that’s just the film’s surface level. Really it’s about Andrew’s pure drive to be the best, and the perfection-required approach taken by the man who can get him to that level. Playing the drill instructor-esque Terence Fletcher – Andrew’s instructor at the country’s most prestigious music academy – J.K. Simmons puts on what will likely be remembered as the greatest performance of his career, and wonderfully straddles the line between mentor and antagonist. 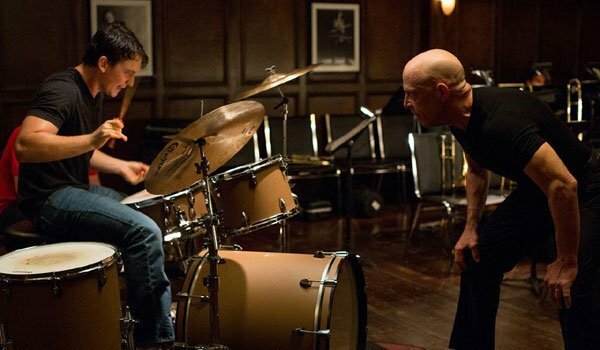 Whiplash is powerful filmmaking, and firmly establishes Chazelle as a director to watch. Jake Gyllenhaal gives what can really best be described as a fascinating performance in Dan Gilroy’s Nightcrawler. His character, Lou Bloom, is an absolutely terrifying, sociopathic monster, and whenever he smiles it generates a disturbing level of dread – both in the audience and in the atmosphere of the movie. Scary as Lou is, however, you can’t help but feel utterly compelled by his voyage into darkness and the world of crime TV journalism, where the slogan is "if it bleeds, it leads." It’s utterly hypnotic unlike any other movie released in 2014, and without question one of its best. It feels strange to say, but there is honestly a sensation that I feel whenever I’m first watching a film that will wind up taking the top spot on my personal Top 10 list of the year. It’s an extreme joy feeling like what I’m watching has been tailor-made for my sensibilities, and transports me to a cinematic world that I just want to live in forever. 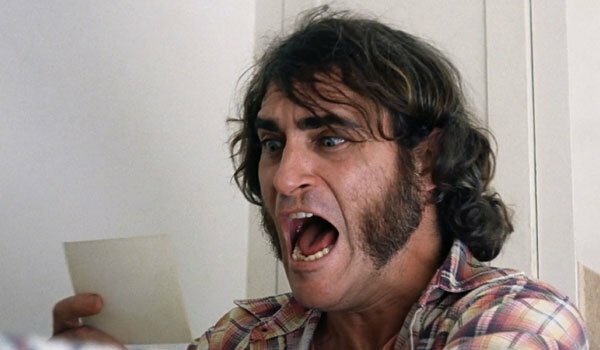 In the past few years it’s been movies like The Social Network, Drive, The Cabin in the Woods and Inside Llewyn Davis, and in 2014 it was Paul Thomas Anderson’s Inherent Vice.